Sway is an engaging ‘interactive meditation’ experience making mindfulness available to everyone anywhere, anytime. It uses your phone to track movement and provides feedback to help you gain focus and improve your attention. With six unique levels, you will learn new techniques to be mindful in everyday life situations and subtly practise mindfulness anytime and anywhere. In the traditional meditation landscape there are two main branches – sitting and movement based meditation. There are already existing technology mediated solutions that cater to these traditional ways of meditation, such as guided meditation like Headspace and tai chi and yoga apps. 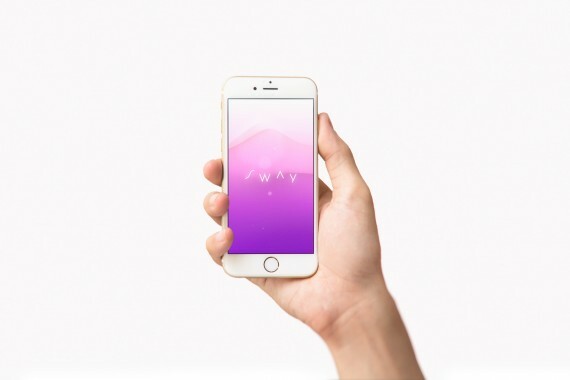 Sway is the first meditation app that adds an interactive layer to a full body movement-based meditation. Sway focuses on mindful movement and relies on slow, continuous motion, encouraging you to find your own, most effective and subtle way to practice mindfulness in any given situation. From simply moving your phone in your hand while sitting down or lying in bed, to gently swaying your body while waiting for the bus or even walking slowly around the office – Sway is designed to help you find focus in everyday life using Interactive Meditation.